Lifestyle: A recent Australian study investigated the most effective strategies for improving sleep among an elite women’s basketball team. The results may help you prioritize which strategies to try if you suffer from insomnia or poor quality sleep. The most effective bedtime routines were: turning off all electronic devices at least an hour before bed (that includes your phone), practicing mindfulness or meditation, and sleeping in a cool environment. These strategies were found to improve sleep and performance on the court. Exercise: A New York Times editorial recently argued that moving more, not weight loss, is the cause of the dramatic health benefits of exercise demonstrated in hundreds of research studies. From arthritis, to cardiovascular disease, to Parkinson’s, to chronic fatigue syndrome, to depression, a massive meta-analysis found that exercise improved health and well-being among all these chronic conditions. It’s no wonder that the Academy of Medical Roil Colleges calls exercise a ‘miracle cure’. But moving more, as the editorial pointed out, does not require shedding blood sweat and tears. Instead, researchers recommend 150 minutes of moderate exercise per week. This could involve walking your dog or walking laps around your living room, cycling at the gym or gardening at home, doing seated tai chi by following an instructional DVD or vacuuming your house. Attitude: Forgiveness can protect your health from the negative effects of stress, according to a new study. Researchers assessed 148 participants in terms of stressful life experiences, mental and physical health, and their tendency to forgive. As expected, high levels of lifetime stress correlated with worse health outcomes. Unexpectedly, a high tendency towards forgiveness eliminated the negative impacts of stress on health. In other words, forgiveness of yourself and others acts as a buffer against stress, eliminating the connection between stress and mental or physical illness. Interestingly, forgiveness is a trait that can be cultivated. Prior research has demonstrated that briefly praying or meditating on forgiveness can increase your ability to be forgiving in close relationships. Nutrition: A new study weighs in on the debate about whether eating grains is good for you. You may be familiar with the paleo diet. Its proponents argue that the human digestive system has not evolved beyond the hunter-gatherer diet. Grains, they argue, are a modern invention evolutionarily speaking, and wreak havoc in the human body, whether through causing inflammation or exacerbating autoimmune conditions. On the other side of the debate, researchers argue that grains provide necessary nutrients, fiber and energy. This study comes down on the latter side of the argument. An international team found that a higher consumption of whole grains correlated with a lower risk of chronic disease and premature death from all causes. Three servings of whole grains per day (90 g/day) was associated with a 22% reduction cardiovascular disease risk, 15% reduction of cancer risk and 51% reduction in diabetes risk. It is important to know that no benefits were associated with intake of refined/processed grains or from white rice. (If you are interested in how to differentiate whole grain from refined grain products, follow this link). Thanks for your positive comments! Especially from another nerd 🙂 Making research accessible is something I’m interested in doing with my blog. Next time I might split each section into a mini post so it’s not so long. If you get a chance, let me know if you think that would be more effective. Thanks again! Hi Katarina, I don’t have a compelling answer to your question. From personal experience, I find that my shorter or very succinct posts get a bigger response. The nature of my blog is quite different from yours – mine’s a bit of a hodge podge of content but it is essentially creative writing as a way of capturing the patient experience which has been from my experience just a more complicated version of the human experience; there are ups and downs. I love your blog because it provides information and tools. I think the post reads very well as one peace – for me it brings out the holistic aspect of self-care. I think once someone starts reading their post and they find it informative they would read the entire post or at least book-mark it so they can choose to read it in chunks later. I do see how dividing it into mini posts may make it more accessible and palatable. If somebody really likes the first post, then you might create a more loyal audience that will come back for more. I totally didn’t answer your question, but I hope I shared my thoughts and my experience. Perhaps, when you post again and the content has sections, then try the mini post method and compare the analytics and see if there is a difference. I suppose the best advice is be true to yourself and send your message out into the blogosphere in a style that reflects your values. Experimenting with different styles and formats may just add to the fun. 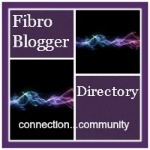 I will share your blog with the people I know in my network who are interested in selfcare. Word of mouth is a great way of getting your name out there and ask other readers what they think. I believe there is a feature as well for surveys on WordPress – so a last minute thought before I ramble any further is to include a questionnaire/survey at the end of the post and invite readers to select their preference on posting content. Thanks so much! I completely agree that well-being is body and mind and you can’t have one without the other. Great post! I was looking for something along these lines, so your tags worked! You could even add more. I clicked on this result because of the graphic, if that is helpful to you. It’s also easy and pleasant to read. Just wanted to say that I strongly agree with almost all of your points as fellow nerd and person who fights chronic illness. I was personally very surprised at the benefits of exercise since pretty much all the doctors wanted to do was give me pills for symptoms or trial drugs. The type of activity you detailed, along with yoga, did more for me than any medication, and I was a complete skeptic. I also tried gluten and paleo, at the behest of a bunch of non medical people who just knew my illness was as simple as that! It wasn’t. The only thing I did not find helpful was forgiveness. I’m skeptical of the data there because forgiveness is a complex and subjective concept. How’s that measured exactly? On a personal note, forgiveness has in no way improved my health or anxiety, but the anxiety runs a bit deeper perhaps or has more complex causes? Maybe a more effective point would be ‘spiritual or emotional health through counseling or therapy is an important part of self care’ since most people with chronic illness deal with depression and anxiety that can exacerbate their problems and is often caused by effects to their brain; however, people who are ill often neglect this as the ‘less serious’ issue . On the whole, glad I stumbled across this and I hope my comments were positive and interesting for you!